Neptune Technical & Trading Est. 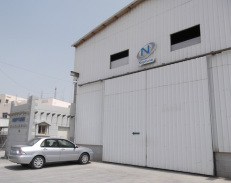 was established in 1986 by the sole owner: Sameer Ahmed Engineer, who is one of the Primary owners of Muharraq Engineering Group of companies and is currently managed by his daughter, Nadia Sameer Engineer. Neptune started off simply by trading safety equipment for oil field, industrial, mechanical and other general products. In 2003, the metal fabrication division opened in order to meet the growing demand of the architectural fabrication needs in Bahrain. The business has been growing each and every year since. In 2009, Mr Engineer’s daughter, Nadia Sameer Engineer, moved from the UK to join the company. As the General Manager, she is leading the company with a fresh vision and sees the excellent potential Bahrain has to offer a local family owned company. 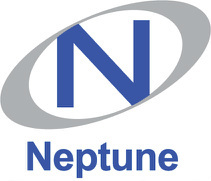 During her time at Neptune, the company has seen a growth in its business turnover as well as increasing focus on customer relationships and customer service. Neptune started by only focusing in stainless steel and steel fabrication. But have now added to their scope of work wrought iron, brass and aluminium. They fabricate, supply and install all types of architectural, general and structural fabrication, such as: staircase & balcony railing, wall mounted handrails, glass railing, guard rails, doors, gates, ladders, stainless steel kitchens, cladding of lifts, escalators, columns & general, aluminium composite panel cladding, canopy ceilings, handles, signs, skirting, framing, bollards, brackets, and any other custom fabrication. Being a diverse and flexible company Neptune takes on any type of project from the large and challenging, to the small and intimate. So whether it’s for a villa, flat, building, office or even a boat! Neptune will help with their professional engineering staff and well qualified technicians, offering at all times a high level of service, excellent finishing quality, competitive prices and prompt time delivery. For further information, please contact us and arrange a visit to our office.